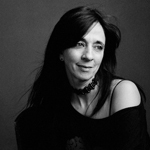 Diana has been part of HFFNY’s team since 2001 and its artistic director / programmer since 2003. Her tireless dedication to Latin American cinema includes programming multiple showcases taking place in New York throughout the year, such as Corto Circuito, the Latino Shorts Film Festival of New York and Ícaro Film Festival New York, a festival of Central American cinema. Diana is the U.S. representative of the International School of Film and TV in San Antonio de los Baños, Cuba. She has also worked in several award-winning documentaries, and written for different publications. As a producer for CUNY-TV series Nueva York, Diana has received five consecutive Emmys. 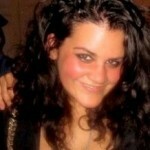 She also works as media consultant for several cultural events in New York City spanning film, music and theater. 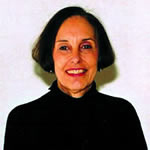 Carole Rosenberg is a distinguished member of the art world. For more than forty years, she has made significant contributions to New York’s cultural landscape as an art dealer, curator and philanthropic leader. The Havana Film Festival New York is one of the many projects she has undertaken in an effort to nurture cultural exchange, artistic development and understanding between the peoples of the U.S. and Cuba. She is President of the American Friends of the Ludwig Foundation of Cuba, a member of the Honorary Committee of the Ludwig Foundation of Cuba and serves on the art and garden committees at Long House Reserve in East Hampton and the Community Board of The Water Mill Center. Javier first started working with the HFFNY team in 2015. 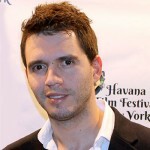 He graduated from the School of Audiovisual Communication at the University of the Arts in Havana, Cuba. Samantha first started working with the HFFNY team while a graduate student at NYU in 2015. She received her MA from the Center for Latin American and Caribbean Studies after completing a thesis about the festival. Gabriela first started working with the HFFNY in 2015. 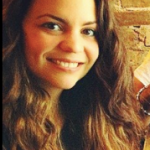 She has over 5 years of professional experience working in the film industry in Cuba, Spain and the US.